- Added: get Youtube video directly from url link/playlist link. - Added: Keep remote URL of images from source as original image. 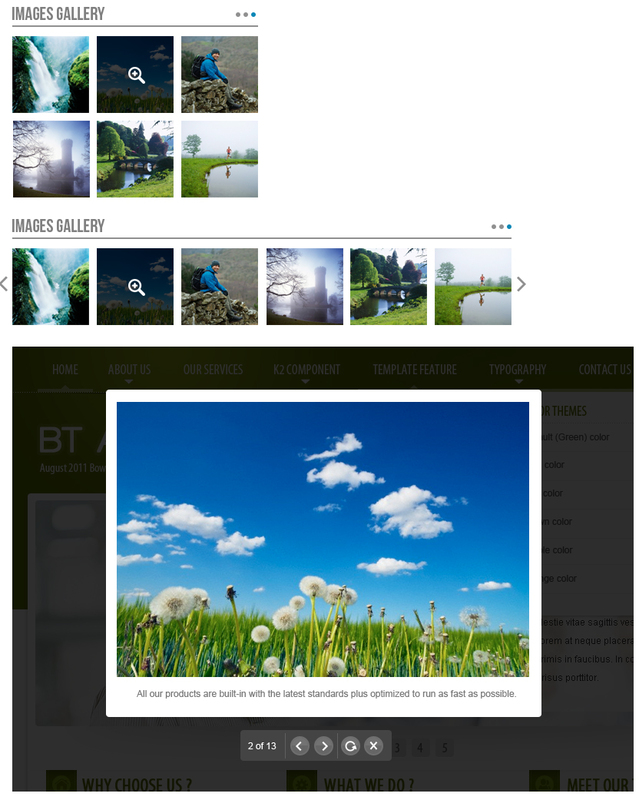 BT Image Gallery is a Responsive Joomla Extension. This module can be used to introduce products or showcase image by displaying items from various sources (YouTube, Picase, Flickr, Phoca, computer folder) and video (from Youtube) with beautiful sliding and zooming effects. 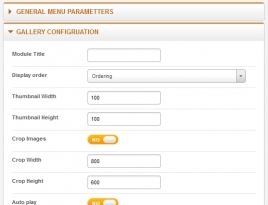 This extension is fully responsive on smartphones, tablets, and desktops.. 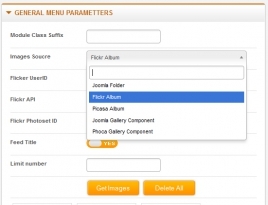 It is easy and convenient to configure number of images taken from different sources, and size of thumbnails image and large image (view as fancybox). 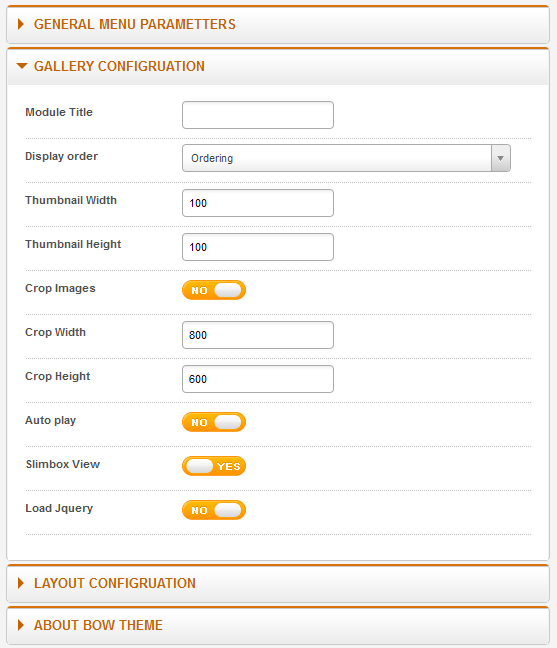 Images (including large images and thumbnails) can be cropped smoothly. You can upload unlimited images or embed unlimited Youtube videos. 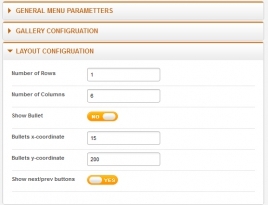 It allows you to configure rows or columns in front-end corresponded with horizontal or vertical module displays. 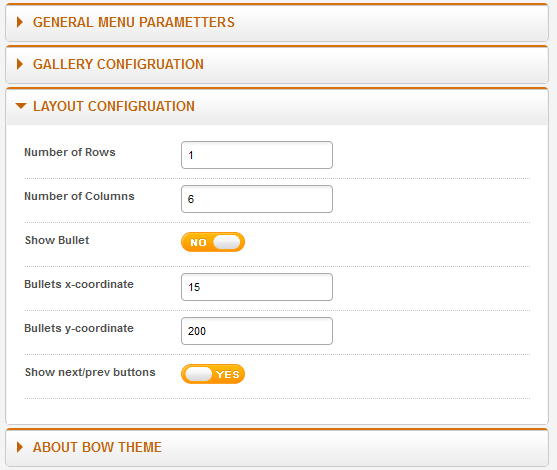 You are freely to select auto-run function and display control buttons (next/back button) at front-end. 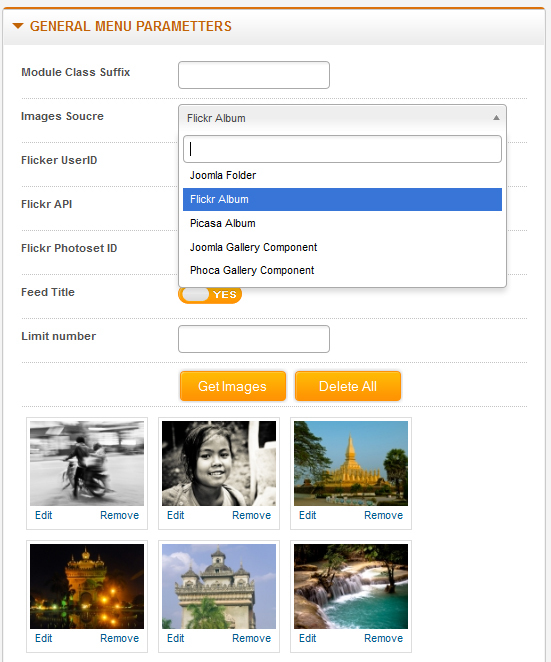 Also it’s optional for giving automatically images titles.